So for some reason the Phlog meter is offset, and I have no clue why. The other meters that are in the same file work fine. I had this issue for a while. Turns out Valve made a new file for Phlog with JI because it would overlap with Gas Passer. huditemeffectmeter_pyro.res is the new file. Look it up in the default HUD or just copy/paste and rename. 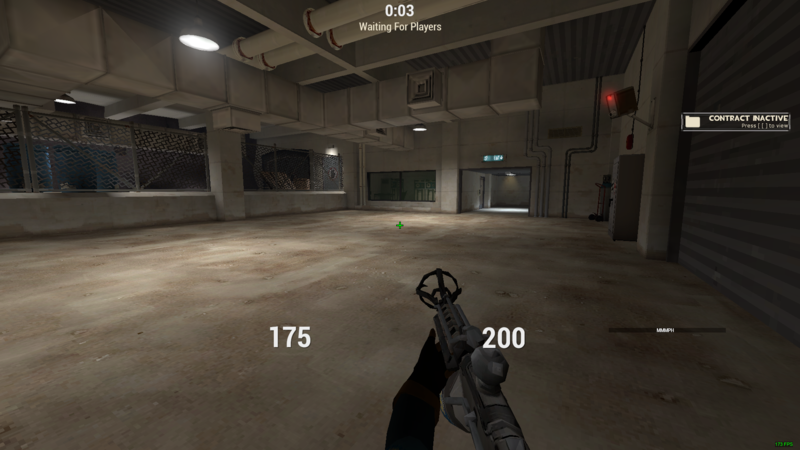 itemeffectlabel in huditemeffectmeter isn't rendering as the color I set it to since Jungle Inferno. I also can't create another element because #TF_BALL won't change to SANDVICH or CLOAK or BALL or whatever it should be. Hey guys, trying to do the replay textures trick. I've never done it before. I made a new texture at \steamapps\common\Team Fortress 2\tf\materials\vgui\replay\thumbnails called health_modified as a vtf and the corresponding vmt with it. and it has no effect. Taking another texture and using that (like "../hud/health_equip_bg") has no effect either. I tried something like adding an element "bg" hoping it's just excluded from the files, but editing that doesn't help either. I tried looking at other HUDs that modified it, but I'm not getting anything out of it. I would disable it with "paintborder" "0" but that would mean I can't make a team-colored background since they'd all appear gray since I'm a spectator. Anyone able to solve this issue for me? Thanks in advance! How do I remove the health cross buff? It should be in ui\hudplayerhealth.res. I believe it is PlayerStatusHealthBonusImage, so turning it to enable 0 should disable it. If it does not, also move it to xpos 9999 and ypos 9999 to get it off screen. If you're not familiar with vgui_drawtree, I suggest looking it up! how do i move these 2 things? Everything selected shows up in the class loadout panel: ui\classloadoutpanel.res. The loadout presets are loadout_preset_panel and the taunt/cosmetic loadout buttons are CharacterLoadoutButton and TauntLoadoutButton respectively. As I suggested in my first answer, if you're not familiar with vgui_drawtree, please do familiarize yourself with it as it will help you immensely. does anyone know how to edit the topbar in casual? aaand is there a way to show the casual bar in offline mode??? You can edit it in ui\hudmatchstatus.res. The names should be relatively self-explanatory, but you might want to start by looking at TeamStatus. Hey guys, I asked a few days ago for suggestions on how to get some elements to show at will--basically what I was told was to have it recorded in a demo and play the demo back or change the timescale in a server with cheats on. For demos, this means I can just go to the tick(s) the element is visible at and replay it over and over. For timescale, that just allows me to make things happen quicker to get to what I need. Both of these work great, but demos don't seem to save (or just don't show?) the matchmaking HUD--they look like any random community server pub instead of showing the class icons, respawn times, lights for each win at the top of the screen, etc. I know this isn't exactly a question about editing HUDs, but it's relevant and a followup; any way I can activate/see this on my own without joining matchmaking... or a way to make the demos save/show it?